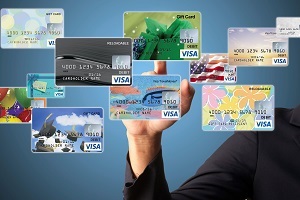 Innovative Card Services, LLC provides unique Visa prepaid card solutions to financial institutions and businesses of every size. If you’re looking for innovative ways to better serve your patrons or your employees, Innovative Card Services has the turnkey solution you’ve been waiting for. Depending on your needs, either take advantage of the entire suite of prepaid cards or pick and choose the ones that are right for you. Your business is our business! Stay ahead of the competition! Our prepaid card solutions offer a fresh compliment to your current products. And the long term revenue benefits will boost your bottom line. The Visa Reloadable card is a revolutionary payment solution that will reduce payroll costs, increase efficiency, and offer significant convenience and savings for your employees. Visa prepaid cards give you the freedom to spend your money at retailers world-wide. Log in below to view your balance, transaction history and so much more!